The Stockholm International Peace Research Institute (SIPRI) is hosting the 2019 Stockholm Forum on Peace and Development with the theme ‘From crisis response to peacebuilding: Achieving synergies’. The findings of a 2-year study on climate and fragility risks in the Lake Chad region will be launched at the Forum. The study provides recommendations for effective engagement in contexts affected by climate change and fragility. The aim of the event is to present and discuss a new essay series on the relevance of SDGs to foreign and security policy. In launching this series, we seek to underline the importance of using the SDGs to achieve core foreign policy objectives and engage in a dialogue with foreign policy practitioners on their role in delivering sound practices. Resource consumption has grown exponentially over the past: between 1970 and 2010, the quantity of extracted materials has tripled. Not only the overall amount of resources extracted and consumed has risen rapidly, but also the diversity of resources has grown. While half a century ago, only a few materials such as wood, brick, iron, copper, and plastics were in high demand worldwide, today products are more complex and require a wide range of materials. The Climate Change Performance Index (CCPI) is an independent monitoring tool of countries' climate protection performances. It compares climate protection efforts and progresses made by individual countries. Up until now, no country has made it to one of the top three categories. More than 4,700 delegates, including environment ministers, scientists, academics, business leaders and civil society representatives, met in Nairobi for the UN Environment Assembly, the world’s top environmental body whose decisions will set the global agenda, notably ahead of the UN Climate Action Summit in September. In an increasingly urbanised world, global resilience cannot be achieved without cities. Separating a local from a national or international sustainability issue is increasingly difficult – be it climate change, migration, or economic development. Climate diplomacy needs to release itself from the shackles of ‘systemic’ politics in order to achieve a climate agenda that is driven by human security interests, including equity and justice, and strengthen climate change initiatives at local, national and regional levels, in order to bridge the gap caused by the slow pace of progress at the international level. When the Fourth Session of the UN Environment Assembly (UNEA-4) takes place in Nairobi starting March 11, governments, international organizations, and civil society organizations will discuss issues on the theme of innovative solutions for environmental challenges and sustainable consumption and production with over 30 draft resolutions submitted for discussion. With few international forums where the environmental dimensions of conflict can be properly discussed, we were optimistic about the past resolutions tackling this topic. “For people who have been refugees for the last 30 years, protecting Afghan wildlife was a way of protecting your own identity,” said Alex Dehgan, CEO and founder of Conservation X Labs, who recently spoke at the Wilson Center at the launch of his book, The Snow Leopard Project: And Other Adventures in Warzone Conservation. He credited his success in Afghanistan to crucial community members. 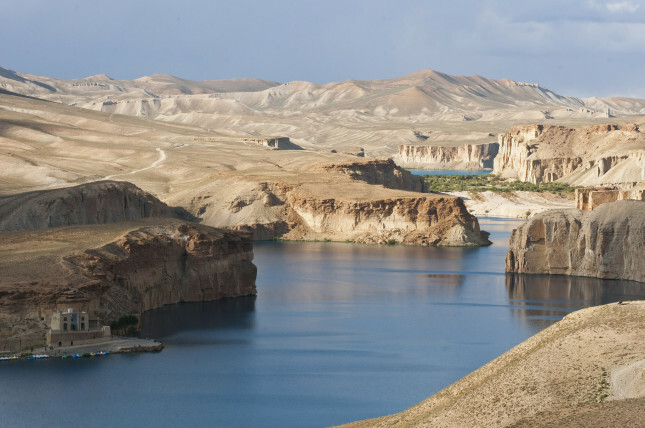 By tapping into their local pride in conservation, Dehgan was able to establish the foundations for the country’s first national park, Band-e-Amir National Park, which opened 2009 in order to protect the endangered snow leopard and the rich biodiversity of Bamyan Province. Leaving No One Behind is the mantra of the 2019 UN-Water campaign. Foreign policy agendas of countries should apply the principle and integrate the voices of the most marginalised into the decision-making process, argues Dhanasree Jayaram.